Need an exterior Site Map to comply with the Fire Code? 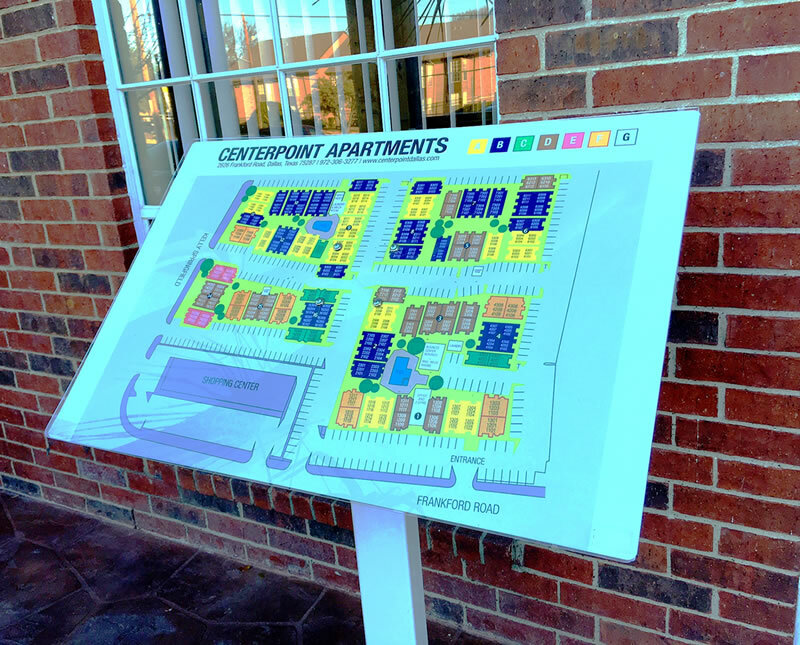 How about a Site Map near your entry area or gate keypad? Well, we've created a few over the past 20 years and we can definitely assist in this area. Using Google Earth, and a Unit Type listing, we can create an attractive, color-coded Site Map that lists buildings, unit types, common areas, trees, parks, parking, etc. Give us a call - we are happy to help! 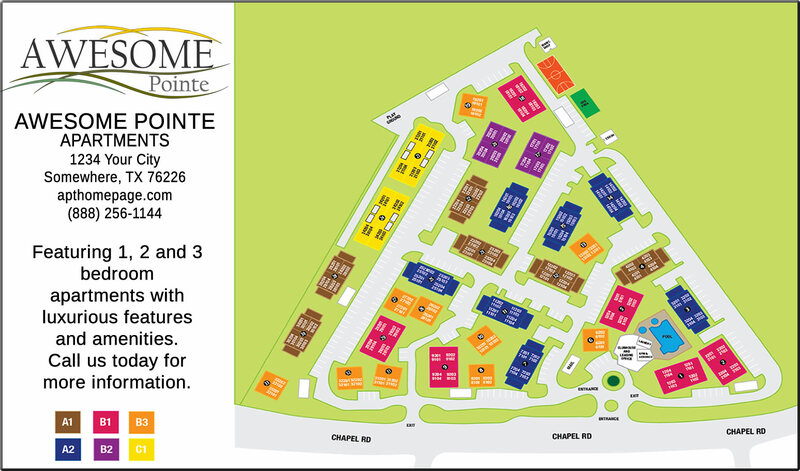 Looking for Floor Plan Posters? CLICK HERE!